Alix joined the Tanners team in 2014 with a wealth of experience under her belt, having been organising wine tasting and events for over ten years. 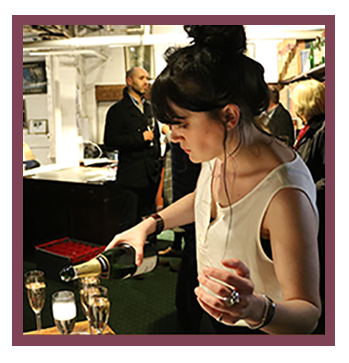 She currently organises over 100 events a year for Tanners including the annual Meet the Producers Tastings, Christmas Walk-Rounds, Masterclasses, and a myriad of private tastings tailored to each customer's wishes. With Alix’s substantial experience in presenting and, with her wine knowledge and ease with customers, she will bring a bit of Tanners to your glass. Please get in touch, whether it’s to book a private event, or simply to book tickets to one, Alix will be happy to help and assist through the entire process.